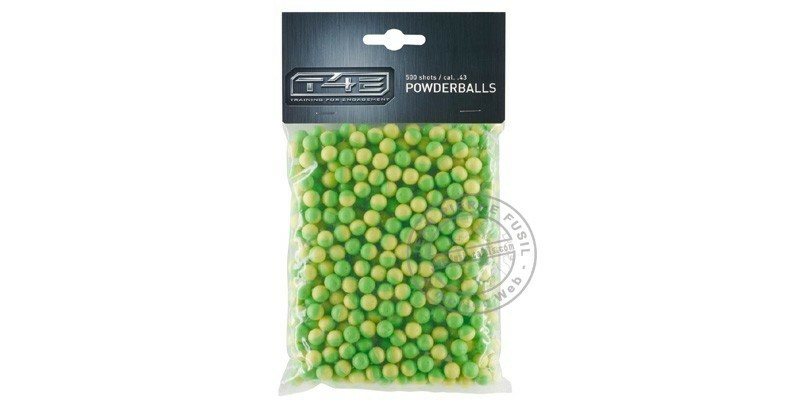 Caliber .43 powderballs, filled with white or pink chalk. Marks the impact while shooting, temporarily. Ideal for training or ownership of the weapon.